Hi lovelies! I'm so happy because Popsugar sent me their September Must Haves box and I received a bunch of goodies to tell you all about! Keep on scrolling for deets on how you can get your own September #MustHaveBox! The first item I was sent was this hat from Jack & Lucy. I am obsessed with wide brim hats and this one is perfect for the upcoming fall season. Next up is this gorgeous lip lacquer from Smith & Cult! It's such a perfect red and it applies so easily & smooth. I love the way the black hat and the red lip pair together! This one is in the shade "The Warning." As you can probably tell, I recently cut my hair and I can't wait to keep it looking healthy with this Briogeo Don't Despair Repair deep conditioning mask. This stuff will reduce breakage and restore natural vibrancy on even the most over processed hair. Click here to get your first September Must Have box! I got my necklace from Lou Lou a while back- and the circle pendant reminds me of the Dogeared ones! I paired my hunter green tee with my white shorts and I loved the way the two colors complimented each other. I'm also wearing my sandals from Charming Charlie, but I'm sure by now they've probably sold out. If you're ever on the look out for some cute summer sandals, CC is where it's at! I bought two pairs from there and seriously have gotten so much use out of them- I wear each of them on the regular. I hope you enjoyed today's post! Thanks for visiting. I think one of the best things I love about fall is the ability to layer your outfits. 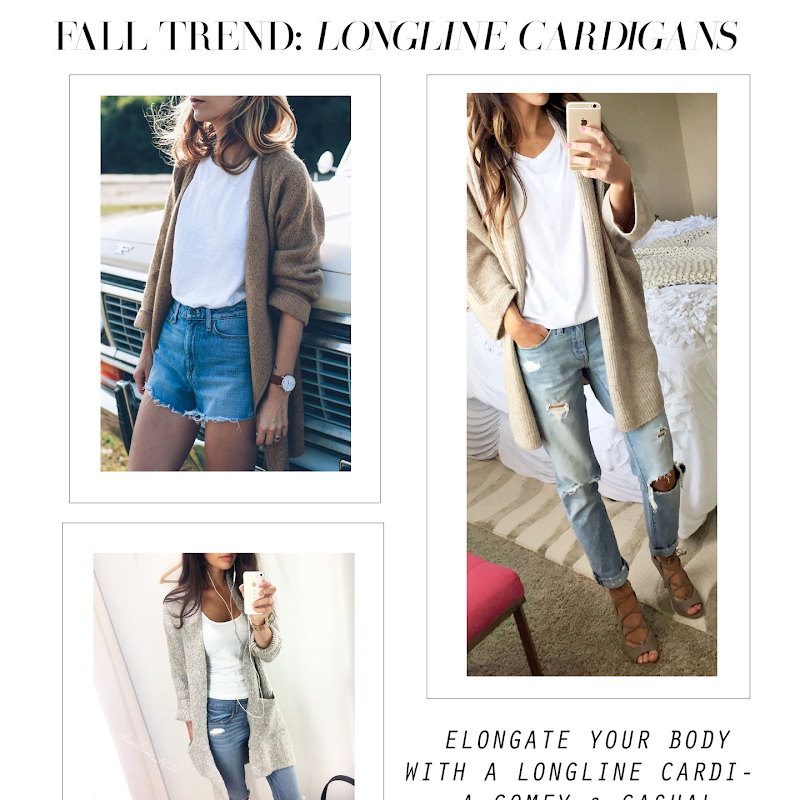 Longline cardigans are everywhere this fall and they're perfect to add to an outfit to just touch it up. When Mike & I woke up Friday morning, there was a crisp chill in the air- and we both LOVED it. It felt like fall was giving us a little tease of what's to come and it's making me so excited. I really love fall for 2 reasons and the biggest reason being the fashion, Fall fashion is seriously so much fun. 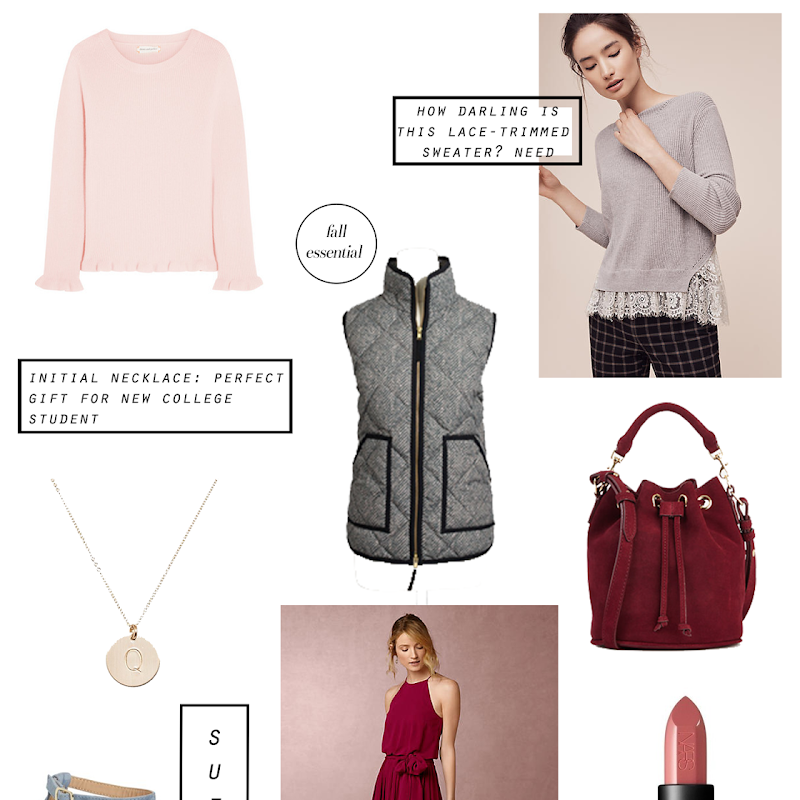 There's so much layering and combining and more often than not the fall fashion colors are rich and luxurious. I also love fall because of the festivities that happen- apple picking, decorating pumpkins, seeing the leaves change colors, corn field mazes, going up to the mountains, campfires, cuddling up when it's cold. For some reason ever since I was little fall has always made me feel giddy inside from the moment I wake up in the morning until I go to bed. 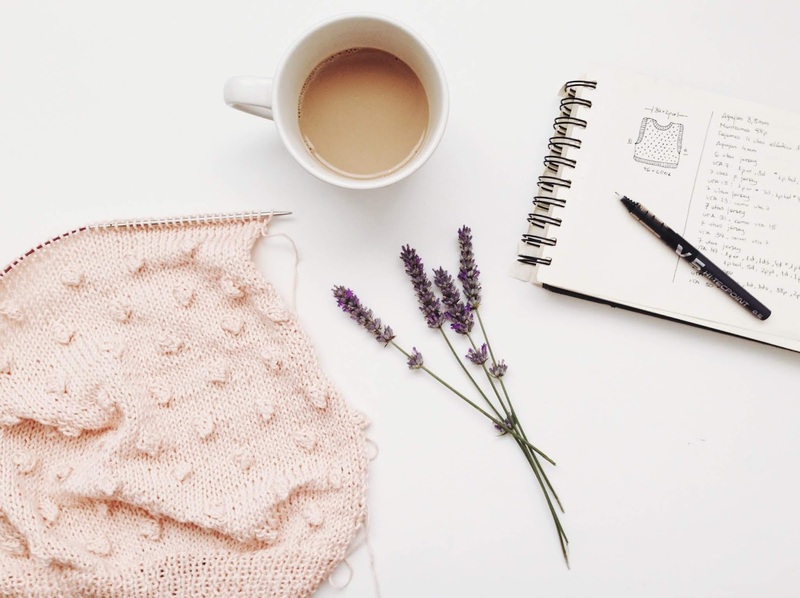 It's a cozy and comforting season. We stopped at Pressed Cafe and got some cappuccino's which were really strong and flavorful. Then we visited my mom at work and drove around downtown. (Days like these with Mike are my favorite- the ones where we have nothing planned and a whole lot of time to just wander and get lost and just be with each other). We ended up going to Best Buy and probably spent a good hour just walking through and looking at everything they had in there- I honestly lost track of time cause I was having such a great time. Then we went into Savers and scored some pretty amazing things (it's our new favorite store)! I am in love with this burgundy sweater from Ann Taylor. I tried it on during my shift the other day and I honestly loved it. I don't own a lot of reds so me loving this was something special. I also saw myself wearing it with a lot of pieces in my wardrobe so it was a must! These sunnies are from Charming Charlie and they are the perfect size. I have been looking for a pair of sunglasses literally all summer and couldn't find one that I loved until I found these babies! They're such a steal! 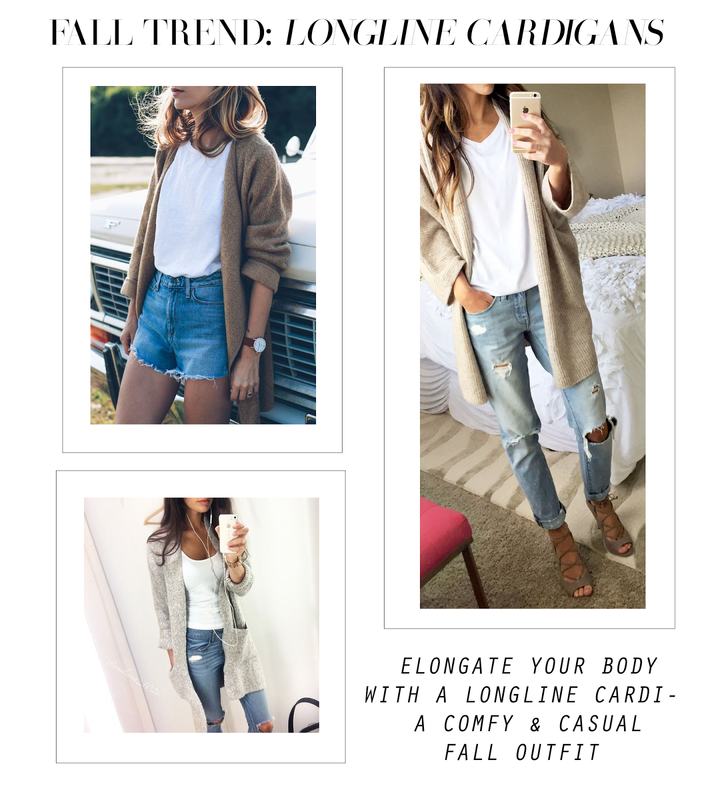 I paired my cardigan with a simple white tank and my high-waist jeans from Hollister. These jeans are so comfortable and soft- I'm so happy I got them. I threw on my loafer look-alike flats that I got from Primark while I was living in Boston. Shop the whole look below! Happy Friday loves! Hope your week went well. 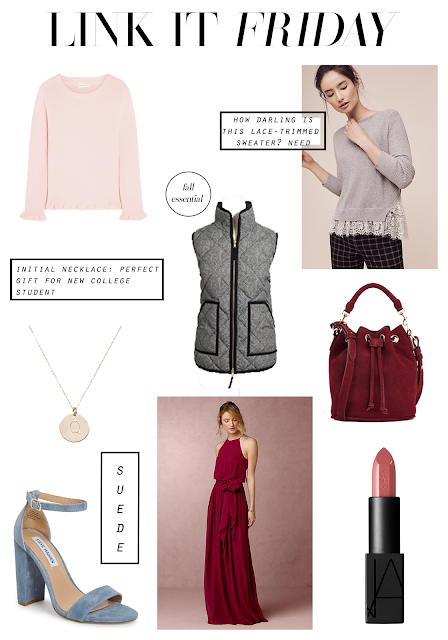 Today I have some gorgeous pieces linked up for you- most things I've been eyeing for a while now! Like those Steve Madden suede block heels... To die for.. (And they come in a ton of other colors). Also this lace-trimmed sweater from Anthro... Stunning. I wish I owned every article of clothing from there.